Back pain is something all women experience during pregnancy. There are a number of reasons why you experience back pain, starting from getting the baby nursery ready, the extra pressure you put on your body due to baby weight, and much more. Lower back pain during pregnancy is more painful than ever. And as your tummy continues to grow, your body will be dealing with more and more stress. Lower back pain and aching is not something you want to have at all times. The good news is with exercise during pregnancy, you can lower the back pain. These are not some exercises that will help you lose weight or anything like that. Think more of stretches that are great when you need relief of back pain. This is one of the best stretches and exercises for low back pain. Cat-cow will help you stretch the spinal cord and muscles. 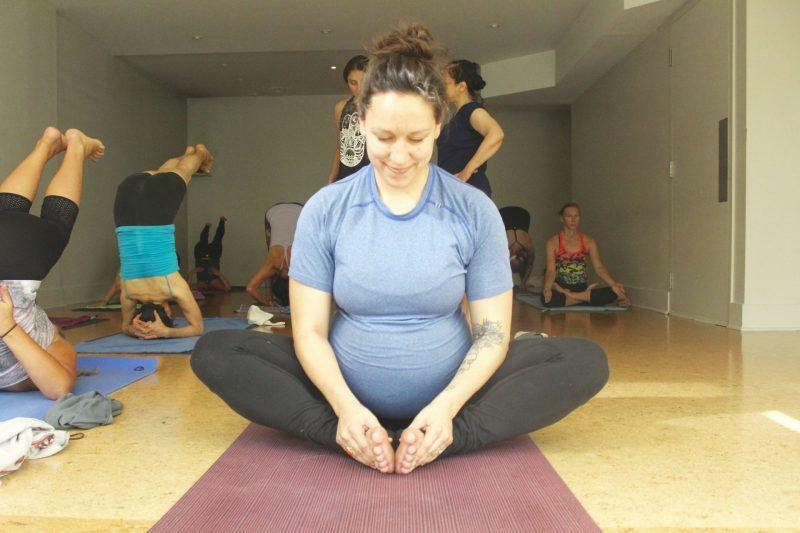 For many mothers to be, the stretch is their go-to exercise during pregnancy. It is a simple move, but provides you the best and deepest stretch. The ultimate yoga stretch. This is one exercise everyone should do it. There is not a single person who has ever done any workout that doesn’t know the child pose. This stretch elongates the spine and helps to relieve any pressure on your surrounding nerves. 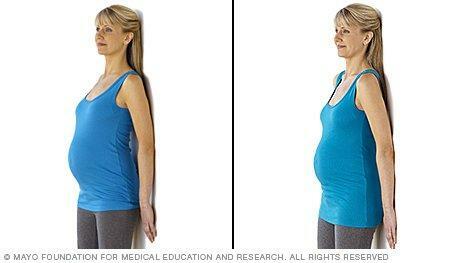 Being that your stomach will grow during pregnancy, you will put more weight and pressure on the spine. The child’s pose is a great way to stretch it out and relieve some of that pressure. At first glance, you might feel the exercise is rather awkward. But do not worry, it will feel great for your lower back pain. Most of us have done torso rotation in high school during gym class. Now, that experience is valuable to keep your pregnancy low back pain in check. The exercise will help you lengthen and stretch out the spine and any nerves on it. This exercise will not only help you stretch your body, but also strengthen your muscles. That will help you relieve back pain and get your body back into the routine of getting some workout done even as a mother. Women who are healthy, and have normal pregnancy, should not fear of safety during pregnancy. It is completely safe to continue or start most types of exercise. You do, however, may need to make a few changes. While physical exercise does not increase the risk of miscarriage, low birth weight, or early delivery, it is crucial that you talk with your obstetrician or other member of the healthcare team during early prenatal visits. If your health care professional says that it is OK and safe for you to exercise, you can devise together a plan and routine that fits your needs, but it is also safe. When it is not safe to exercise? Regular exercise during pregnancy can be beneficial for both you and your future baby. This is one of the most commonly asked questions. Future mothers always ask “How much should I exercise during pregnancy”? The answer is complicated, as every pregnancy and every person is unique. However, the Centers for Disease Control and Prevention recommend that pregnant women get at least 15 minutes of moderate-intensity physical activity during the week. Aerobic activity is the one where you move large muscles of the body, including legs and arms in a rhythmic way. Moderate intensity means you are moving enough to raise your heart rate and start sweating. What can affect your exercise routine? Pregnancy is a complicated period for you and your body. You need to understand that your body will go through a lot of changes during pregnancy. 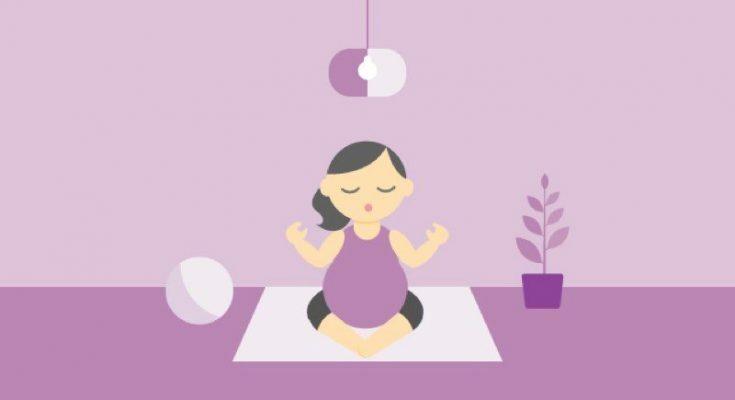 With everything said so far, it is important that you understand that exercise during pregnancy is great, as long as you put yours and your baby’s safety first. Here are a couple of precautions to ensure that.